Jennifer and Michael’s wedding day was long awaited and very much anticipated. I loved working with the couple in May 2014 during their cherry blossom engagement photo shoot in Central Park. Below is one of my favorite photos from the wedding. I took it while laying down on the ground with my camera facing upwards. Good thing I had a new dress to change into before the reception started; the “down-and-dirty” approach got my clothes pretty dusty! A fresh and innovative entertainment solution for Jen and Michael’s wedding was a same-day-edit photography slide show. My assistant and I were screening the couple’s engagement and WEDDING PHOTOS! Yes, you read it right! Photos taken just minutes ago were professionally showcased on a portable screen. 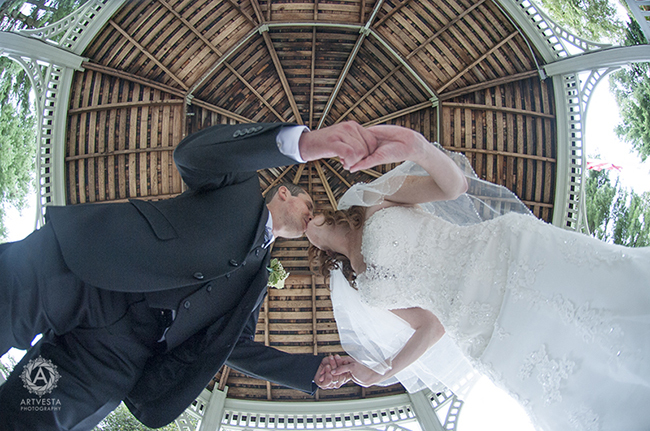 It was a great wedding and I look forward to publishing Jen and Michael’s story on my blog in a few weeks!